"Commitment and effectiveness – these two Firm values have particular significance for me. My clients often thank me for my relentless approach to protecting their legal rights in the dispute resolution process. At the same time, they tell me they appreciate my understanding of their commercial objectives and their desire to achieve a favorable outcome through negotiation. The result? My team and I have a strong record of securing great results for our clients through settlements, saving them significant expense. Of course, when opposing parties are unwilling to negotiate reasonable resolutions, my clients appreciate our highly effective written and oral advocacy before courts and arbitrators!" Joe McCullough is a Partner in the Litigation Practice Group and Leader of the Firm's Insurance/ Reinsurance Industry Group. For more than 30 years, Joe has devoted his practice to representation of insurance and reinsurance companies in both life & health and the property & casualty matters. He has acted as counsel to insurers and reinsurers in more than 140 arbitrations, court, and administrative proceedings across the United States as well as in Bermuda, England, Continental Europe and Australia, including some of the highest-profile cases in the industry. He regularly advises clients on a wide range of matters, including rescission claims; worker's compensation reinsurance issues; personal accident long-term care reinsurance issues and disputes, YRT issues and disputes and medical reinsurance issues; common account reinsurance issues; coverage of declaratory judgment, loss adjustment and monitoring counsel expenses; reinsurance pooling arrangements; financial reinsurance; directors and officers policy issues; petitions for pre-answer security; letter of credit disputes; follow the fortunes and follow the settlements doctrines; insurer insolvency issues and disputes; commutations; estimation and acceleration of claims; exit strategies and financial solutions for problem books of business; offset issues, including in the context of an insurer insolvency; aggregation and allocation of losses; contract drafting; broker funding of losses; records inspection rights; and fraud. Before joining Freeborn & Peters, Joe was a Partner at Sidley & Austin, where he started and led the firm’s reinsurance practice. In 1995, Joe joined Lovells LLP, where he opened the firm's U.S. law practice, was the U.S. Regional Managing Partner for many years, served as the firm's U.S. Insurance and Reinsurance Practice Group Head. 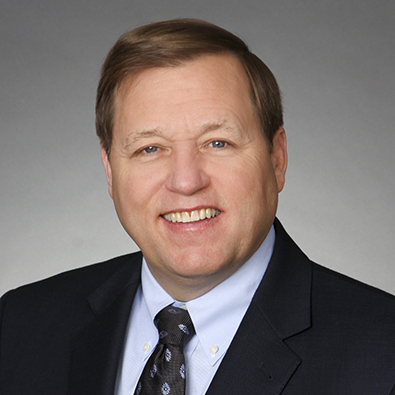 Joe previously served as a Member of the Firm's Executive Committee.